Infant massage is the process of stroking and rubbing an infant’s muscles. An ancient practice in other areas of the world, infant massage is now being embraced in the western world for its proven therapeutic value and as an effective tool to reduce infant stress. The birth process, as well as living outside the womb, is a dramatic change for a tiny human. Infant massage can help soothe that transition. It also improves the immune system, helps to regulate the digestive, respiratory and circulatory systems. Infant massage training teaches parents and practitioners the best techniques to utilize this form of communication with the very young, and how to use touch as a therapeutic tool to help your baby be happier, healthier and to encourage essential cognitive, emotional and physical development. Touch is the most mature sensory system in an infant's life. It is the best way to communicate, bond and form attachments for your baby. The more a parent or caregiver touches a baby, the more aware they become of subtle communication, through body movements, of a baby's needs. Touch is essential to your baby's development. Cognitive skills, language, social, emotional, and physical development require touch for proper development. Infant massage boosts the benefits in these essential areas, just as a lack of touch and skin-to-skin contact slows or halts developmental progress. Infant massage will help you make your baby more relaxed, happier and healthier... naturally. Massage reduces the stress hormone, Cortisol and increases the feel-good hormones Dopamine and Serotonin. Touch in the early years also improves body-image and provides a foundation for healthy future relationships. How Does Infant Massage Work? A baby’s sense of touch is the most developed of all their senses. Touch and body movement is the primary form of communication for infants. Touch can both calm and stimulate. Learning how to properly massage your baby will smooth the path of early parenthood and improve the journey for both you and your baby. Infant massage training will teach you how to stroke and knead each part of your baby’s body, how to control and regulate your touch, based on your baby’s age and their responses, how to create a calm atmosphere and to stay relaxed to offer the best massage experience for you and your baby. What Types of Infant Massage Classes Are Offered? Baby Soft Massage offers one-on-one training for parents, group classes for parents and caregivers in infant massage techniques, as well as training for healthcare professionals. 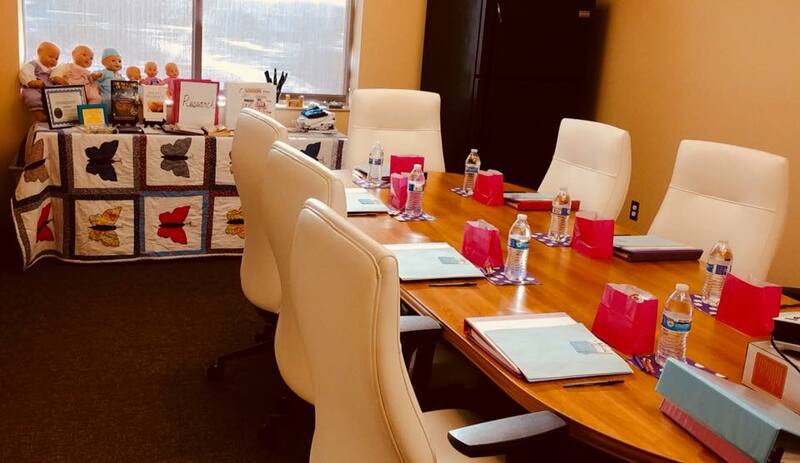 If you, or your organization, would like to set up an onsite class for healthcare professionals, You can contact Laura to book a class with Baby Soft Massage. Laura is a Certified International Instructor Trainer in Infant Massage and is willing to travel to train you. Her classes are worth 20 CEUs (Continuing Education Credits) for those who attend and will provide graduates with the CIITIM designation. Would you like to attend a class alongside other parents and caregivers to learn infant massage? Great! Laura holds classes regularly and can set up a special class for your group, upon request. Feel free to bring your baby or to learn on a training doll. It's your choice. If you want private training to learn effective infant massage for your little one, Laura can help. Training can be held at your home -- yes, she makes house-calls! Just contact Laura today to set up a time that is most convenient for you. Want to improve services to your patients? This class is for healthcare professionals including Nurses, PT/OT, Speech Therapy, Developmental Therapists, Social Workers, and those working in Hospitals, Home Health Settings. The class is tailored to your healthcare setting. Will You Travel To Train My Group? Laura, of Baby Soft Massage, LLC, is willing to travel to train your group on the proper techniques of infant massage. As a professional occupational therapist, Laura better understands your needs as a healthcare professional and the needs of your patients. For more information on potential training dates for your group, call Laura at: 704-962-9267 or send a message through the contact form below. To see what others have said about Laura’s training sessions, read the success stories. Thank you for considering Baby Soft Massage for your training needs! If you have any questions about Certified Infant Massage Training, please feel free to contact me. I love what I do and would enjoy the opportunity to discuss it with you!